White hat hackers earned a total of $270,000 on the second day of the Pwn2Own hacking competition for demonstrating exploits against the Mozilla Firefox and Microsoft Edge web browsers. Amat Cama and Richard Zhu of team Fluoroacetate earned $50,000 for a Firefox exploit with kernel escalation. The attack involved a just-in-time (JIT) bug and an out-of-bounds write flaw in the Windows kernel. “They were able to execute code at SYSTEM level just by using Firefox to visit their specially crafted website,” explained Zero Day Initiative (ZDI), the company that organizes Pwn2Own. The same team also got $130,000 for a complex Edge hack that involved kernel escalation and a VM escape. The exploit leveraged a type confusion bug in Edge, a race condition in the kernel, and an out-of-bounds write issue in VMware Workstation. Combined, these flaws allow an attacker to go from a web browser running in a virtual machine to executing arbitrary code on the host operating system. 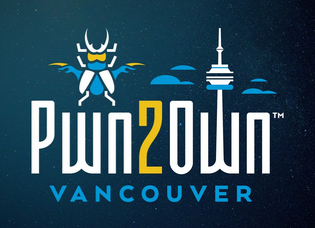 In the third entry of the second day of Pwn2Own 2019, Niklas Baumstark earned $40,000 for a JIT bug in Firefox and a logic flaw that allowed a sandbox escape. “In a real-world scenario, an attacker could use this to run their code on a target system at the level of the logged-on user,” ZDI said. Finally, Arthur Gerkis of Exodus Intelligence received $50,000 for a Microsoft Edge exploit with a sandbox escape. The attack relied on a double-free bug in the render component and a logic bug for bypassing the sandbox. All of the nine vulnerabilities have been disclosed to vendors. On the first day of the event, participants earned a total of $240,000 in cash for exploits targeting Apple’s Safari web browser and the Oracle VirtualBox and VMware Workstation virtualization products, which brings the total so far to just over half a million dollars. The third day is dedicated to automotive hacking -- researchers can receive up to $300,000 and a car if they can demonstrate the existence of previously unknown vulnerabilities in a Tesla Model 3.